Traditionally, marketers have been highly aware of using target-relevant keywords within their marketing strategies, to boost their search engine optimisation (SEO) ranking. This strategy has been well in-place and utilized by many marketers for the past few years, but the industry is rapidly towards a more topic-driven content marketing approach. FACE Marketing investigates more. A Backlinko study from two years ago proves this movement, as search engines transitioned more into semantic search; when lead SEO authors discovered that there was very little correlation between organic ranking and the target keyword on the page and title. But this does not mean that keywords within the page and title have not lost their power significance within SEO. FACE Marketing’s team always use keywords within their content for accounts. 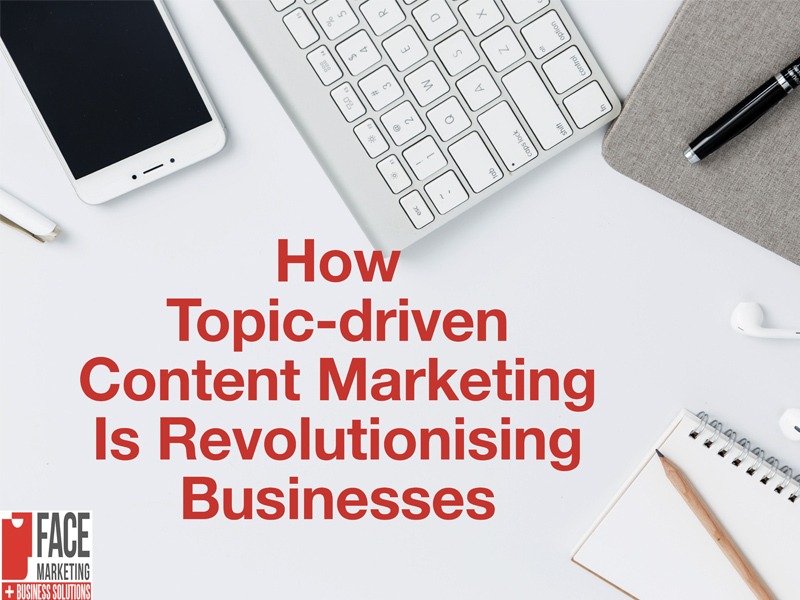 Many businesses have now focused on more relevant topic-driven content marketing, which aims to engage their target audience with more interesting content. This relevant topic also needs to remain vaguely cohesive with the products/services the business has to offer. The other issue with solely focusing on a keyword planner strategy is that it limits your possibilities for content, and potentially engaging with a wider audience. Therefore, the selection of the right keywords and the matching topics are the best strategy forward for most businesses. By uncovering new and interesting topics around current affairs, industry-related news or changes are some great examples of driving more traffic to your website. Ranking these topics with new semantically related keywords that you may not have discovered before within your planner is also a great way to engage and build your audience. Many companies have now transformed their strategy and created entire online media ‘communities’ around versatile topics either in conjunction with their industries or their products. Keywords are still a key element to the marketing strategy of any business. Effective keywords with matching titles and Meta descriptions are still common practice. FACE Marketing’s extensive marketing team has proven experience of successful topic-driven content campaigns across various accounts within building and construction. We are highly aware of the continuous changes in marketing and SEO optimisation. To understand more about our services, click here to find out more or call 020 8338 1388.